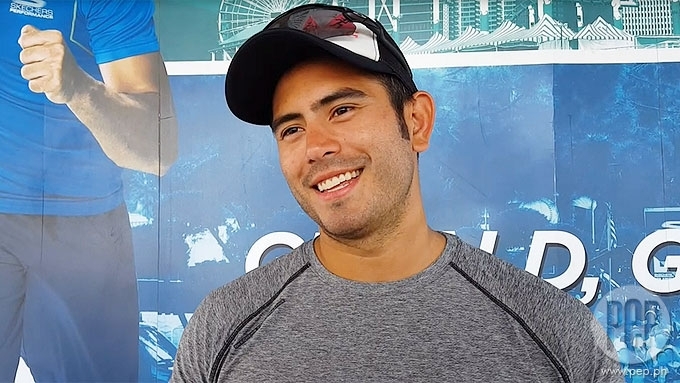 Gerald Anderson on doing Maalaala Mo Kaya episode: "Isa 'yon sa mga proud moments ko of my career kasi, parang, 'Nakagawa na ako ng MMK!'" Gerald Anderson confirms that he will be reuniting with Kim Chiu for another Maalaala Mo Kaya episode together after a decade. The two ABS-CBN stars previously appeared together on the weekly drama anthology after their stint in Pinoy Big Brother: Teen Edition in 2006. PEP.ph (Philippine Entertainment Portal) asked Gerald about the behind-the-scenes photos of him and Kim which were uploded on Twitter last weekend. 1st day taping for #MMK ???? The Kapamilya actor said this was the reason he and his former girlfriend have been taping four days straight last week. Aside from MMK, the PBB Teens alumni are also currently taping their upcoming teleserye Ikaw Lang ang Iibigin. “It's good. It's our second time to do an episode of MMK, kami ni Kim,” Gerald told PEP. “You know, nakagawa kami ng MMK noong bago pa kami, bagong labas pa kami sa PBB. “That was a great experience. “Isa 'yon sa mga proud moments ko of my career kasi, parang, 'Nakagawa na ako ng MMK!'" Gerald declined to give more details about the MMK episode they're doing. Gerald Anderson confirms MMK episode with Kim Chiu. Watch for it very soon!